Bats will never let you down when it comes to learning something new and interesting. They are a fascinating species of mammal, and the only mammals capable of true flight. On top of this remarkable trait, bats also exhibit unique mating behaviors; many of which are not exhibited by any other mammals in the animal kingdom. For instance, not all bat species retain the same mating seasons and practices. Different species mate and breed at different times, as well as locations. 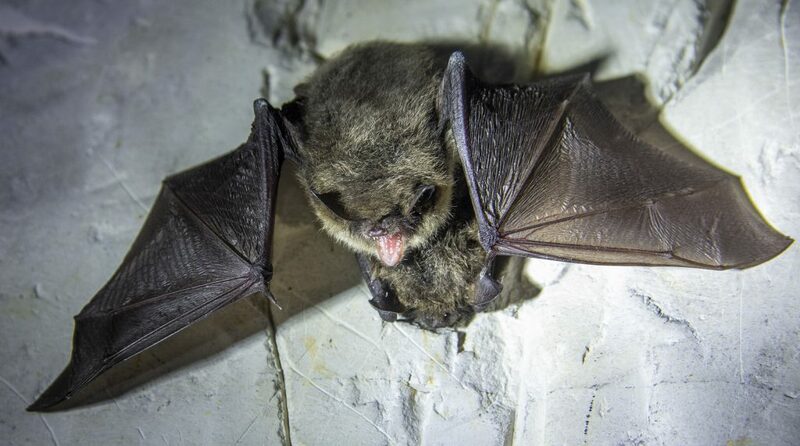 Continue reading to learn more facts about microbat mating, and what to do if you come across a bat problem on your property this breeding season. Bats that live in temperate regions migrate from their summer homes to their winter hibernation spots. This behavior is called hibernacula and it is where breeding takes place. These bats generally mate toward the end of summer into early fall, and females will actually store the male bat’s sperm for the next breeding season. But bats that live in hot or tropical regions don’t migrate at all. In fact, their mating practices are based solely on seasonal variations of food supply. The way in which bats choose and court other bats is quite diverse. As for hibernating species of bats, they put on an annual flying show, showing off their agile flying and acrobatic skills in an attempt to court female bats. They will fly in huge swarms, darting and dipping, and performing impressive aerobatics. Once the show dies down, bats will couple up and find seclusion to mate. Although it is not yet proven whether or not female bats prefer more agile males, because of this fascinating phenomenon it is certainly a theory among researchers. Showing off is certainly a theme among mating bats since other arboreal species like to use their talents to court female candidates too. For instance, Hammer-Head bats use their enlarged larynx and nasal cavities to “honk” at females. During mating season, males line up in trees along the riverbank and call out to female bats that fly by. They use honking, grunting, and cooing sounds until they win the attention of a willing female Hammer-Head. Even more interesting and somewhat similar, male sac-winged bats use their flying skills and pheromones to impress and court female bats. They hover in front of them, wafting their fumes and powering their wings until a female accepts. Other species of bat, like the Horseshoe bat, prefers discretion over showmanship. Instead of swarming, wafting, and honking to court their females, this species of bat lets the female come to them. Female bats will track down male Horseshoe bats, and then visit them at their private roost to mate. This entry was posted in Bat Facts and tagged bat control Indianapolis, bat facts, bats breeding facts, bats breeding season, bats mating, Indianapolis Bat Removal, male bats attract females. Bookmark the permalink.